The latest and greatest version of Amazing Seeds for Minecraft is now available in the App Store! This new version includes even more great Minecraft world seeds for both the PC / Mac version and the Pocket edition of Minecraft. 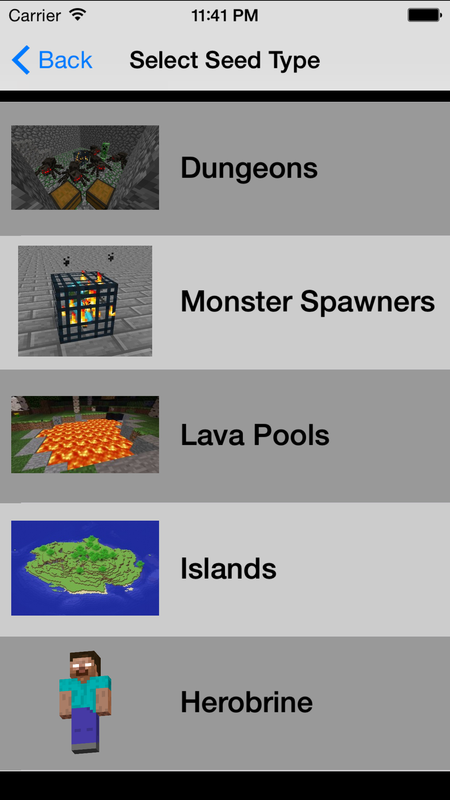 Amazing Seeds for Minecraft has many different categories of seeds to generate worlds that produce anything and everything. Thanks to our great users for submitting in so many great new seed ideas. We have added many of the best seeds to the app. Keep those submissions coming! You can send in your own seed suggestion right in the app. If you like, include your name and we’ll include your name for credit.